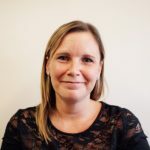 My name is Nell Giles, Head of Southampton Children’s Hospital School, and I would like to welcome you to both our school and our new website. Whether you are a student, a parent, a potential job applicant, or an interested visitor, I hope that our website provides you with helpful and useful information about who we are, what we do and our values and ethos as a school. Southampton Children’s Hospital is a unique educational setting recently graded ‘good’ by Ofsted (February 2017). We offer a rich range of learning opportunities in a happy, safe and welcoming environment with a strong emphasis on progress and high expectations and outcomes for all of our students and staff. Our drive for high academic achievement is coupled with a supportive and caring approach, ensuring that the particular medical and emotional needs of our students are taken into account during their time with us. We work closely with our colleagues in the NHS to help children make the all-important steps towards recovery, with academic achievement being a crucial part of this process. Spread over four key areas in the hospital, we work with both primary and secondary aged children to ensure their time away from home school does not adversely affect their progress and outcomes. Close contact with these home schools is vital for this to be successful and so we ensure all lines of communication are open and fruitful during children’s time as the hospital. Please do not hesitate to contact me if you have any further questions or queries about our service.